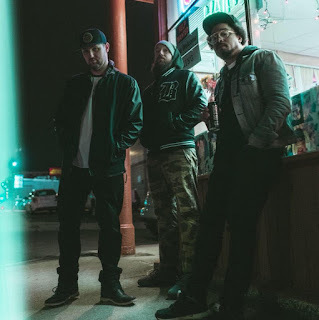 If It's Too Loud...: STL GLD - "Donut Shop"
We were huge fans of STL GLD's 2017 release Torch Song, so when word started spreading last week that the Boston hip hop group was releasing new music, we couldn't wait. Their new song, "Donut Shop," is mind blowing. I could be wrong since it usually takes a few dozen listens for lyrics to sink in, but it seems much less political song than Torch Song contained. But, hey, sometimes you just want a party jam about donuts, you know? It's as fun of a song as you'd expect when you combine hip hop and Union Square Donuts, with some of the best horn break downs I've ever heard. Musically, this may be the most fun hip hop song I've heard this century. You can listen to "Donut Shop" via Spotify below. While you're at it, check out the equally great b-side "Dbl Mnt," too. For more on STL GLD, be sure to check out their website, and follow them on Facebook.